Excess water of any kind can quickly lead to a number of problems in both residential and commercial properties. Flooring, walls, and other structural elements can become damaged, and so can your valuable belongings within the building. At Rainbow International Restoration of South & West Suburbs, we provide water damage restoration services to property owners in Orland Park, IL. Through these services, we stop the inflow of water as soon as possible, remove the water and excess moisture, and restore affected areas. Our ultimate goal is to reverse the damage before any of it becomes permanent. Every technician that we employ at Rainbow International Restoration of South & West Suburbs has gone through a background check and earned our seal of approval. You can rest assured that our technicians are professional and trustworthy. Residents of Orland Park are exposed to all four seasons, for better or for worse. 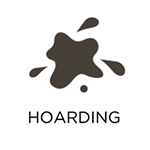 In the case of water damage, this means that your property is exposed to a greater number of potential causes. Frozen and burst pipes are relatively common in the winter, while heavy rain and flooding are more likely in the spring and summer. Other potential causes of water damage include sewage backups, general leaks in your roof or foundation, and similar events. 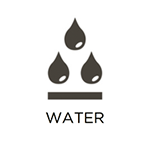 In each case, the water and moisture can spread to other parts of your building to cause damage. Discoloration and warping of building components (e.g. drywall, flooring, woodwork, and other porous elements) are major risks. 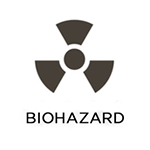 Furnishings can experience similar issues, electronics can be destroyed, and valuable documents and books can be ruined. If you experience any level of water exposure on your property, it is critical that you call restoration experts right away. No matter the extent of the problem, we respond rapidly to give your property and belongings a fighting chance against permanent damage. One proven method that we utilize is called Rapid Structural Drying. 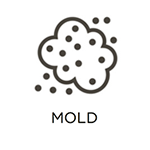 Through this process, we utilize advanced dehumidification equipment and air movers to naturally extract water from affected areas and items as well as evaporate excess moisture. This is a tremendous aid in the restoration process and can prevent permanent damage from occurring. We also use moisture meters to locate and eliminate hidden water and moisture. In some cases of water damage, it can be difficult to tell if it is worth filing an insurance claim for the damage. Our technicians can help you decide if it is worth your time to file an insurance claim after we complete our inspection of the damage. If an insurance claim is filed for the damage, we provide direct billing to bill your insurance carrier for the claim. 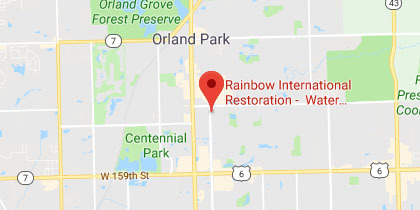 At Rainbow International Restoration of South & West Suburbs, we are proud to assist property owners of all kinds in Orland Park, IL. Through our water damage restoration services, we will do everything in our power to return our building and belongings back to their original condition. We also offer a price match guarantee in which we will meet or beat competitive proposals that are in line with the IICRC’s standard of care. Our representatives can be reached at (708) 571-2550. 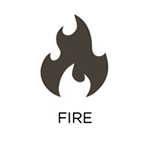 We offer 24/7 emergency-response services as needed.